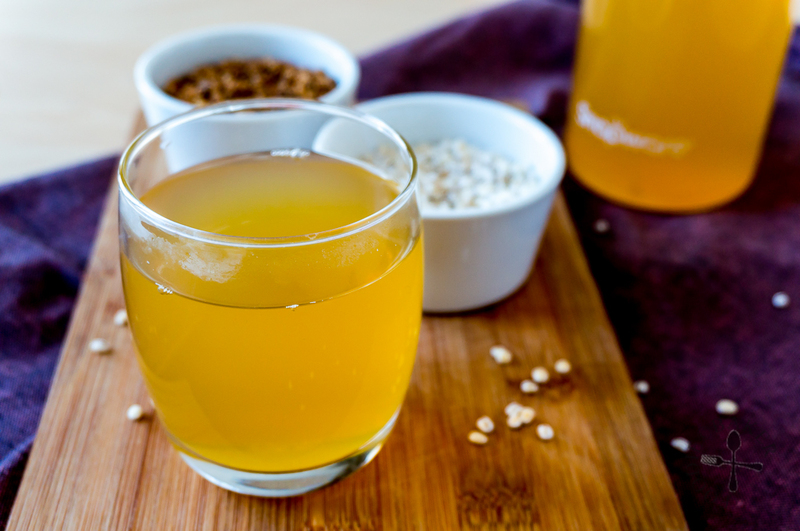 Roasted barley tea is made from, well, roasted barley! I used pearl barley as it’s the most readily-available type of barley here. The pearl barley is rinsed, dried then toasted in a frying pan. It takes only about 10 minutes to colour the pearl barley into a dark brown colour – and your house will be filled with nutty and toasty flavours, so err… open the windows! The roasted pearl barley are then simmered in hot water, steeped for a short while then strained. 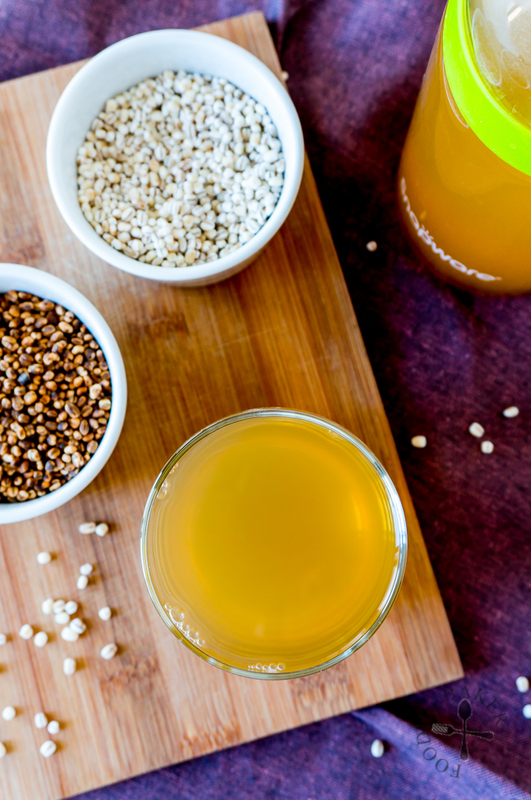 And that’s it, you’ve got your roasted barley tea! You can sweeten them if you want (I know X secretly openly wants me to) but I prefer it plain and original. The cooked roasted barley went into the bin on my first try, but when I made this again for the blog, I decided to use them in a barley salad. 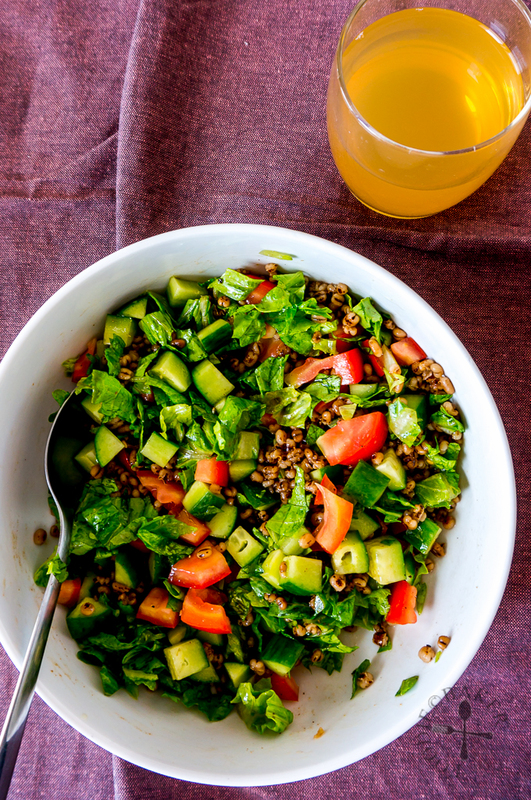 I mixed the cooked barley with cucumber, tomato and lettuce and tossed them in a balsamic vinaigrette spiced with cumin and coriander (I’ll include the salad recipe at the end too!) Pair this with a cup of roasted barley tea and lunch is complete! X is not particularly fond of the salad maybe because it’s the first time he’s eating it and he prefers eating his barley sweetened with sugar. I, on the other hand, quite like it because of the chewy texture of the barley which goes well with the crunchy vegetables. Research has shown that roasted barley tea has antibacterial properties (inhibit bacterial colonization and adhesion especially in mouth cavities); rich in antioxidants and improves blood fluidity (high blood viscosity can lead to impaired blood circulation and related health disorders). 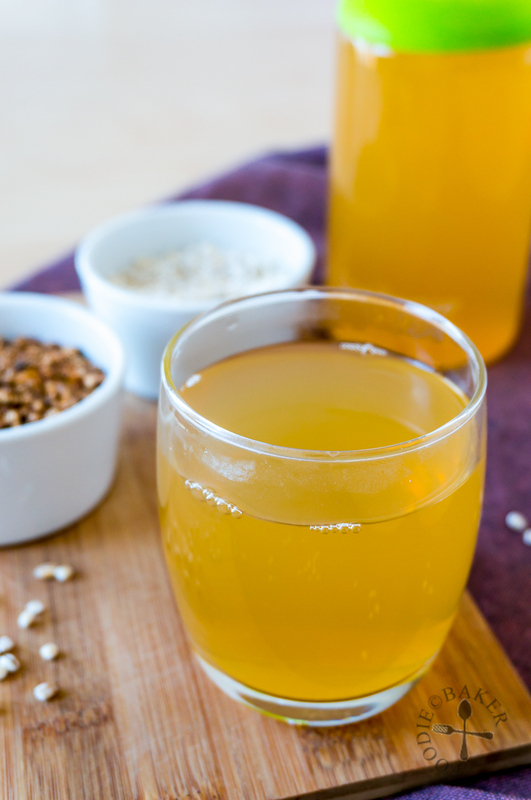 In short, this naturally caffeine-free roasted barley tea is good for you, so drink more! Having a cup right now! Rinse pearl barley and strain them. Place a piece of paper towel on a plate, transfer the pearl barley on top and cover with another piece of paper towel. Rub gently to get rid of excess water. Transfer the pearl barley into a shallow non-stick pan, wide enough to hold the pearl barley in a single layer so that they roast evenly. Roast the pearl barley over medium heat, tossing occasionally. Break the pearl barley up with a small spatula or spoon if they are clumping up. When you start to smell the roasted flavour, turn the heat down to medium-low and toss the pearl barley more frequently, until they have turned into a dark brown colour. This will take about 10 minutes. 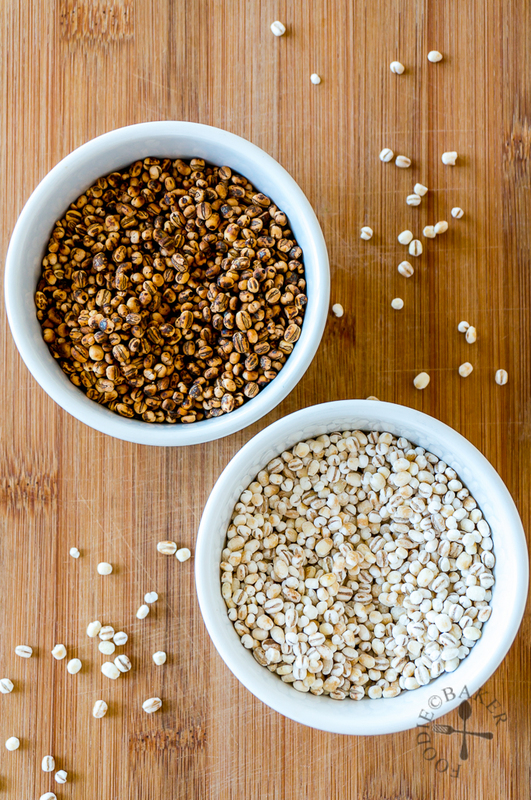 Remove the pearl barley from heat and let cool before using. Strain the barley tea into a pitcher. Serve hot, warm, room temperature or chill in the refrigerator and serve cold. - Barley produces a lot of foam, so using a large pot and leaving the lid ajar while simmering should help prevent the barley tea from boiling over. Place cooked roasted pearl barley, tomato, cucumber and lettuce in a large serving bowl. Whisk olive oil, balsamic vinegar (or lemon juice), coriander, cumin, salt and black pepper together. Toss the salad with the salad dressing. Salad can be served at room temperature or chilled. I love barley and never ever thought of making tea with it. It sounds wonderful Jasline. Hi Natalia! Thank you, let me know when you have given it a try! Hi Karen! The tea has this toasty flavour that can be quite an acquired taste for some. Hope you and your family will like it!